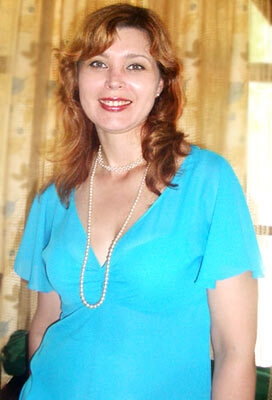 Odessa City Meeting - 13609 Oksana Vinnitsa (Ukraine) 49 y.o. I have many hobbies such as knitting, cooking and reading. When I have free time I adore visiting theaters, museums and various concerts. As I am very communicative I have a lot of friends and I like to spend my time with them outdoors. I prefer Russian and Ukrainian cusine. I often read classical literature and poetry. I am a serious, kind, loyal, honest, tender, sensitive, reliable, cheerful, life loving and very resposible person. I am also very communicative woman and that's why I have lots of friends with whom I like to spend my spare time in the fresh air somewhere in the countryside near the lake far from the noisy and busy city. I like active way of life and I often go to museums, discos and theaters. Decentness,set of goals,responsibility, sense of humor, loyality must be his good sides. I want him to be my supporter in our life.